So basically it’s that same story where someone gets transported into a fantasy world and becomes a hero, except this time the fantasy world looks suspiciously like World of Warcraft without actually being Warcraft. It also stars Jatfei Wong/Wong Yat-Fei, though he doesn’t play the fish out of water character. The image at the top of the article are the oddly suspicious costumes from the film. If you bootleg fish out of water stories from China, then you might also be excited for the upcoming release of The Adventures of Panda Warrior, which is totally not Kung Fu Panda, don’t get any ideas! 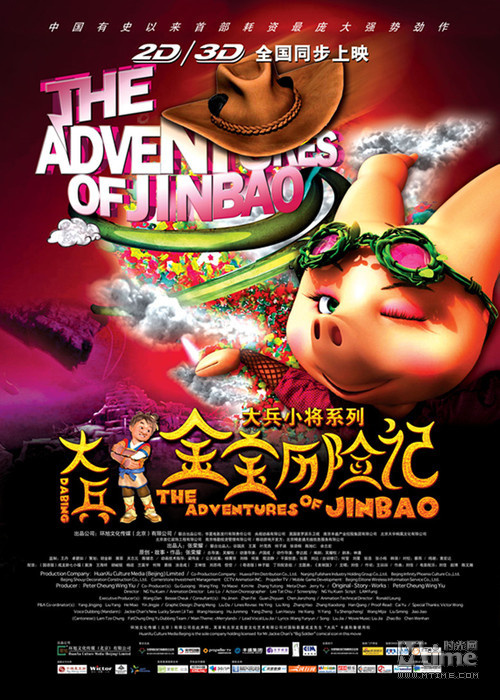 If The Adventures of Panda Warrior seems vaguely familiar, that’s because you might have stumbled across a trailer for it when it was called The Adventures of Jinbao (大兵金宝) in 2012. 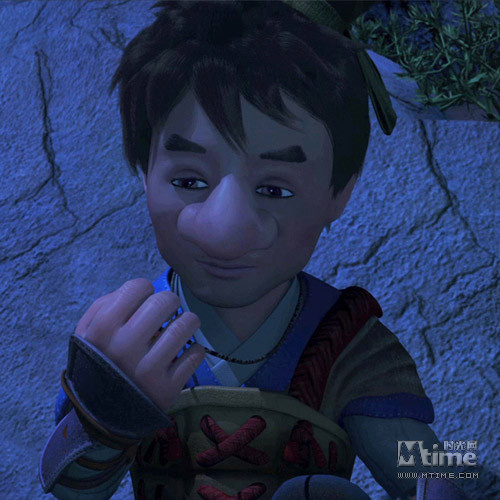 Jackie Chan voices the panda, because The Adventures of Jinbao is actually a sequel to his 2010 movie Little Big Soldier. Sort of. It’s a sequel to a flash game sequel to Little Big Soldier called FLASH Little Big Soldier (FLASH大兵小將), hence following the art style for the very beginning before Jackie Chan’s character is turned into a panda. Of course, the US version trades Jackie Chan for Rob Schneider and Norm MacDonald. None of this should be confused with the other animated Kung Fu Panda ripoff, Little Panda Fighter, which is Brazilian but also awful. 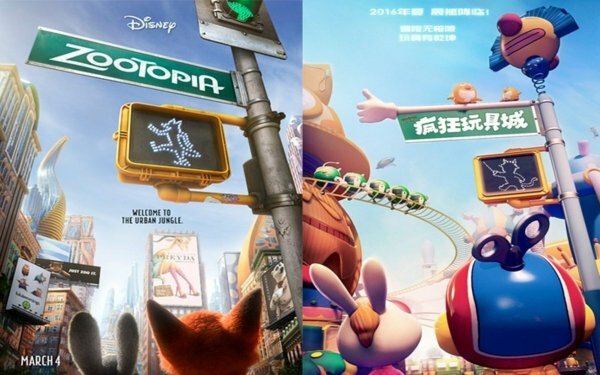 Now if you want even more exciting stuff, April’s Crazy Toy City (疯狂玩具城) mysteriously has a similar poster and title to Disney’s Zootopia, known in China as Crazy Animal City (疯狂动物城). This was roundly mocked on China’s internet, though the film itself seems to have little to do with Zootopia, instead following a boy who is transported to a toy-ruled city after mistreating his toys. So maybe it’s a sequel to Toy Story? Whatever the case, I’m sure we’ll soon have many more very original films to talk about! Now I have to go watch Hollywood’s latest reboot of a prequel of a sequel of a remake. Stephen Chow is known as one of the funniest people to come out of the Hong Kong film industry. His films have become favorites around the globe and he has legions of fans. Chow’s mo lei tau films cross all sorts of genres, from spies to action to historical to gambling to sports. People argue over which of his films are the best. But one film that rarely is brought up is Out of the Dark, and here at TarsTarkas.NET we believe that is a crime. In fact, I’ve come to the conclusion that Out of the Dark is my favorite Stephen Chow film. But it isn’t a non-stop wacky film, it’s a comedy that’s also a pretty spooky ghost film with a very high body count. Most of the look, costumes, and even a few character names are ganked from Besson’s Leon: The Professional. Heck, there’s even a plant! 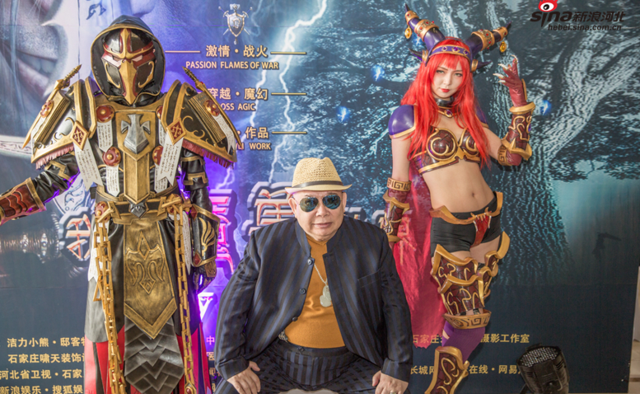 Director Jeff Lau previously directed several ghost movies, and Chow in the Chinese Odyssey flicks. He moved on to Metallic Attraction: Kung Fu Cyborg among other films. Out of the Dark doesn’t fit the mold of the normal mo lei tau films, it spends time transcending the genre of wackiness while simultaneously embracing it (yes, that’s possible!) Out of the Dark shows much of the genius later captured by Kung Fu Hustle as a mo lei tau that is more. But instead of following a hero arc, we instead follow a group of people caught up in the sins of an evil family and their revenges from beyond the grave. There are kids brandishing knives, creepy old ladies, possessions, and the one man crazy enough to not be scared of this crap. Someone’s gotta bust ghosts and take up where Lam Ching-Ying left off! So let’s get our Dark on! Leon (Stephen Chow Sing-Chi) – He’s Leon, he’s nuts, he ain’t afraid of no ghosts! Leon can defeat the forces of darkness thanks to his superior will and superior insanity. Leon takes the security team under his wing, attempting to save them from the wrath of poltergeists. Qun (Karen Mok Man-Wai) – A girl at the crossroads who stumbles across Leon and is instantly smitten. Qun has what it takes to follow Leon into the abyss. Qun is sometimes subtitled as Kwan. Karen Mok later dealt with ghosts in Haunted Office, and also appeared in Task Force. Tieh Dan (Wong Yat-Fei ) – A suicidal security officer due to his wife running off during the beginning of the film. Spends most of the first 1/3rd trying to kill himself, and the last 2/3rd fighting for his life. Lily (himself) – Leon’s flower that can see ghosts. This is not the first time a plant has gotten a credit in Roll Call.